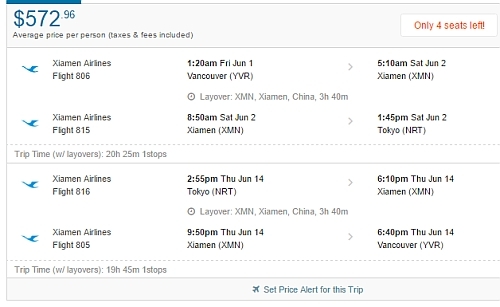 Xiamen Airlines has dropped the price of their 1-stop flights from Vancouver to Tokyo, Japan (NRT) down to $572 CAD roundtrip including taxes. But these flights also have 19-20 hours of travel time each way, and connect through Xiamen. Japan Airlines had non-stop flights to Tokyo for $654 CAD roundtrip as recently as last month, which were a much better deal. 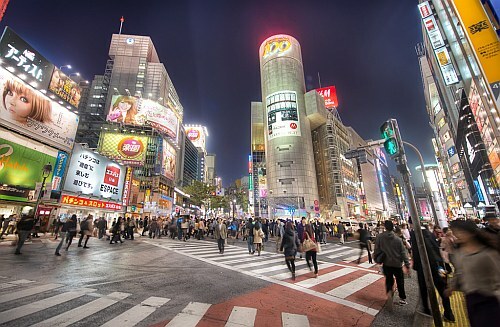 vancouver, yvr, flight deals, asia, east asia, tokyo, japan, nrt and xiamen airlines.